Visit the heart of Bucharest with your guide, Alina. 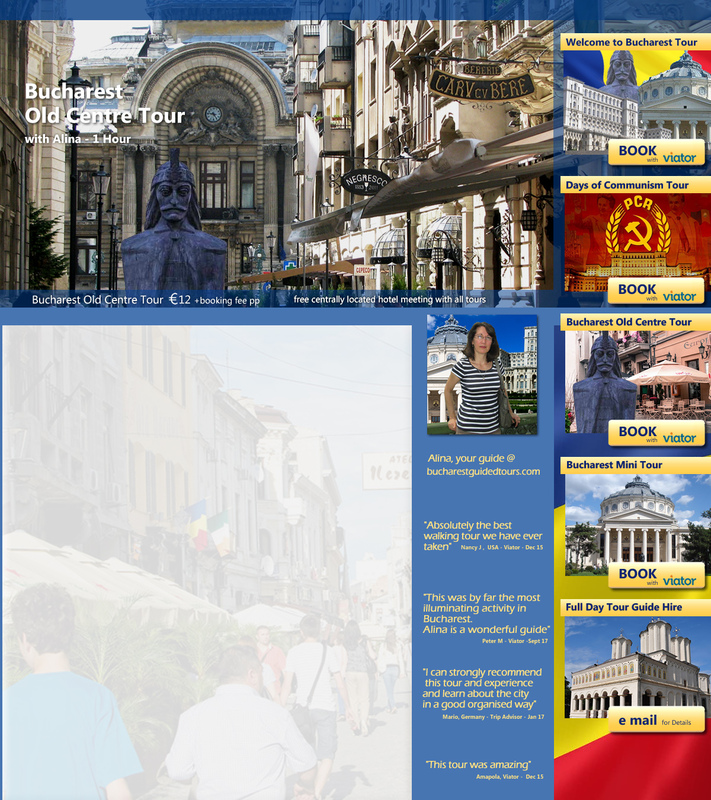 Take a walk through the famous, ancient streets of Bucharest and hear the history of this great city. See the Princely Old Court, court of Vlad Tepes, the famous Manuc's Inn and St Anton Church. Stroll down Lipscani Street with its many shops, restaurants and bars and marvel at the eclectic mix of architectural styles which tells the story of Romania's beginnings and sometimes torrid history. See the newly discovered underground relics, stop for a drink, and soak up the atmosphere of beautiful and historic Bucharest. Dambovita river and Manuc's Inn (Hanul lui Manuc). The Princely Old Court - Home of Vlad Tepes. St. Anton Church and Stravapoleous Church. Passage Macca and Passage Villacross (Old Bucharest). Lipscani Street (historical centre of Bucharest). The newly discovered underground relics. Centrally located hotel meeting is available or our meeting points are outside the popular Manucs Inn, 62 Strada Franceza , or outside the main enterance of the National History Museum, 12 Calea Victorei at either 10.00 AM or 2.00 PM. (advise of your desired meeting point within the booking system). At the conclusion of the tour I will be happy to return you to your hotel or pick up point.